A little fun fact about me – I can eat any and every type of Asian cuisine for every meal, every single day! I’m obsessed with eating and cooking all types of Asian food, especially Thai and Japanese. There is just something about their flavors, ingredients, vegetables, spices which all magically come together for that perfect “umami” taste in your mouth. 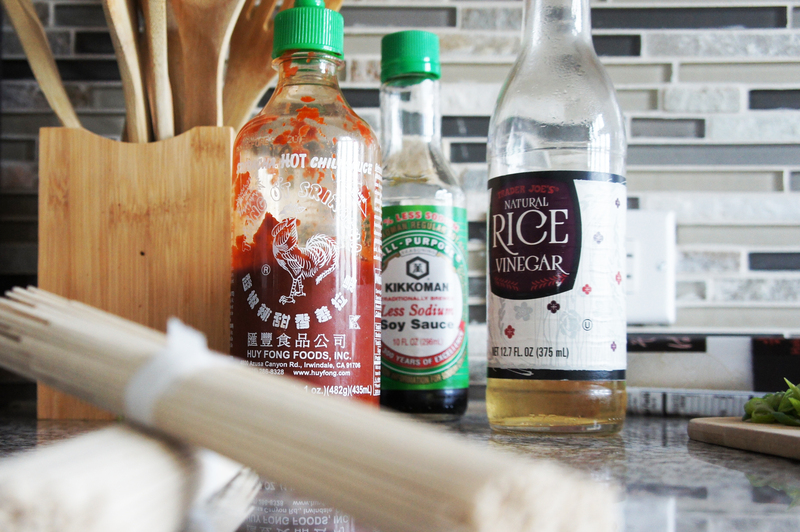 I’m constantly scouting for different ways I can use these flavors and ingredients in my everyday cooking. 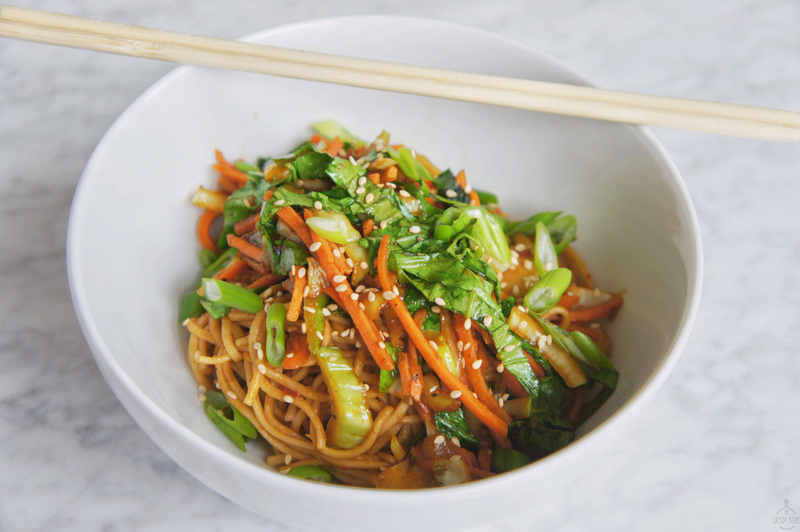 The inspiration for this recipe came from a chilled soba noodle salad that I had at a local Dallas restaurant. The chilled salad was really simple, it consisted of soba noodles coated in miso and topped with sesame seeds. Roshan is not the biggest fan of cold or chilled food, so while he liked the flavors of the salad he threw out the idea that I should make a warm version of it. 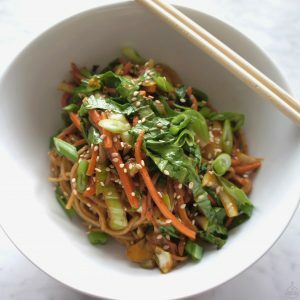 So this recipe calls for warm soba noodles and is topped with a ton of stir fried vegetables to make it more fulfilling and perfect as an entrée. 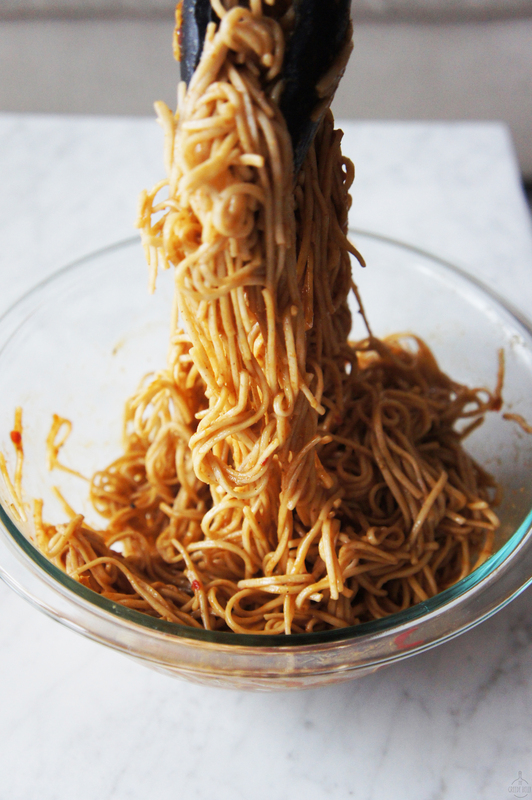 While you can use any type of noodles, I highly recommend using soba noodles. I particularly like the nuttiness of soba noodles and plus, they’re a more healthier option than regular white flour noodles. They’re lower in calories and a good source of protein, iron and manganese. Traditionally soba noodles are also gluten free since they are made from buckwheat flour. Through this recipe you will learn to incorporate the four basic taste profiles – sweet, salty, sour and spicy to help you achieve that “umami” quality, in your home cooked, made from scratch meal! These Miso Soba Noodles are perfect for a quick dinner with your family, or a healthy lunch with your friends. Its a dish sure to impress! Salty, Sweet, Sour and Spicy - the four basic taste profiles come together for the perfect "umami" dish. 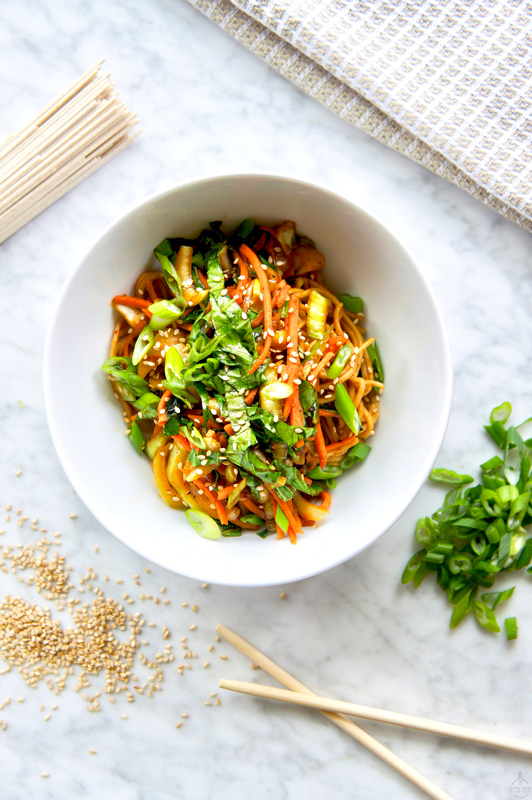 These Miso Soba Noodles are flavorful, healthy, easy to make and sure to impress! Boil the soba noodles as per the package instructions, drain them from the water and set aside. 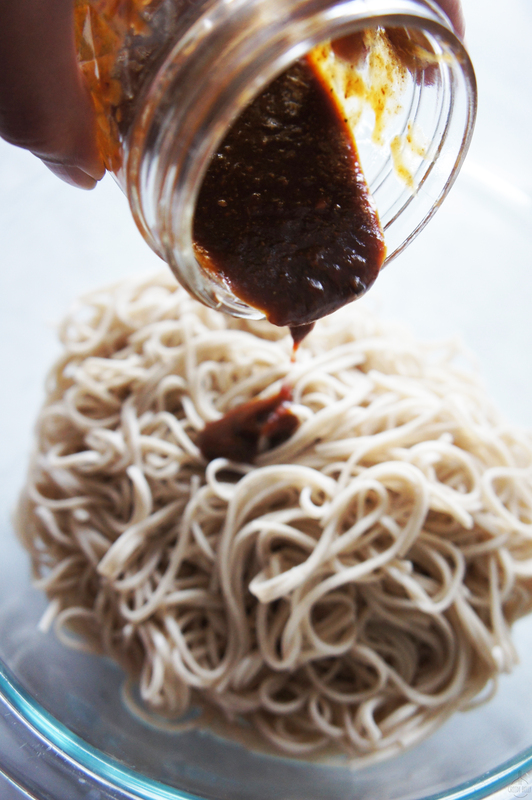 To make the miso sauce, in a bowl or mason jar mix together- miso paste, soy sauce, rice vinegar, honey, hot sauce, salt and pepper. Add one half of the miso sauce to the drained noodles. Mix well so that the noodles are well coated. Heat oil in a shallow pan. Add ginger, garlic, white parts of scallion and let it sauté for a minute. Add all your veggies to the pan, sauté until they are cooked but still have a bite to them. Add the other half of the miso sauce to the vegetable mixture. Stir well so that all the vegetables are well coated with the miso sauce. Adjust for salt and pepper. 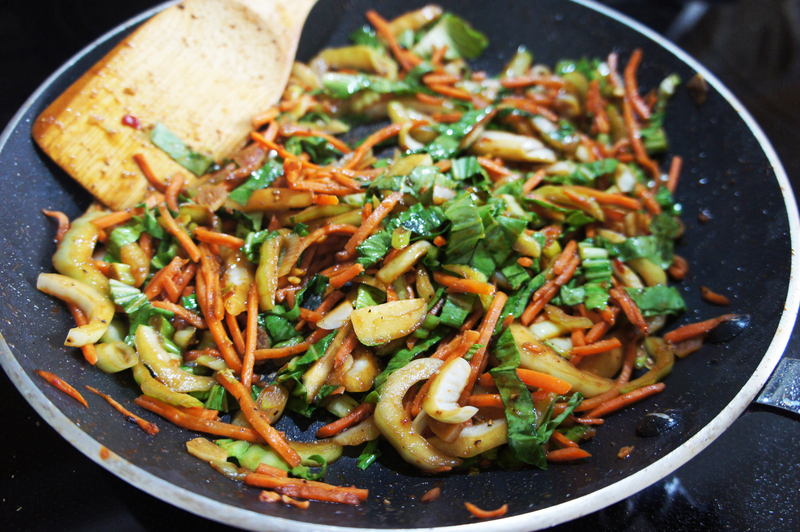 To serve, place one serving of the noodles in a bowl, top it with a generous serving of the vegetables. Garnish with the green parts of the scallion and sesame seeds.